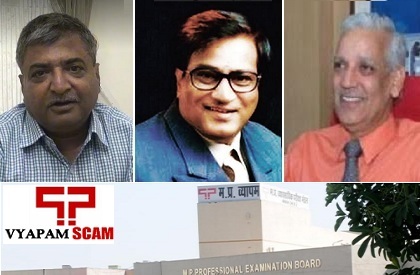 The Madhya Pradesh High Court has rejected the anticipatory bail plea of some of the main private medical college owners involved in the Vyapam scam. The owners-promoters of these medical colleges—Chirayu Medical College and LN Medical College, have already been charge-sheeted in the scam. The charge-sheet was filed by CBI in this case last month. Apprehending arrest, the petitioners—Chirayu’s Dr Ajay Goenka and LN Medical College’s JN Chouksey-DK Satpathy, had approached the High Court. The double bench of the High Court rejected the plea. Two other college owners, that of Index College and People's Medical College hadn't approached the court but there names are also in the same charge-sheet. Today, the High Court held that the action or inaction of petitioners who were running medical colleges has denied admission to large number of more meritorious candidates, who were, in fact, entitled to admission and thus, leading to frustration. ‘The entire process would be antithesis of the rule that the students should be admitted only on merit. The petitioners may not be an accused of taking life of a person but if the allegations are proved, they cannot commit more heinous crime than of playing with life of young students. It would be a case of mass killing of the career of numerous students. Thus, seriousness of the allegations and gravity of the accusations against petitions is glaring and having wide ramifications on the cause of the professional education in the state. Hence, the petitioners are not entitled to concession of pre-arrest bail under section 438 of CrPC,’ the court observed sternly. This order shall dispose of all three petitions of grant of anticipatory bail under section 438 of CrPC, filed on behalf of Dr DK Satpathi, Jai Narayan Chouksey and Dr Ajay Goenka, who apprehend their arrest in connection with the crime registered with CBI for offence under sections of fraud, forgery, concealing evidence, conspiracy and prevention of corruption act apart from other sections, H C said. Thus the action or inaction of petitions who were running medical colleges has denied admission to large number of more meritorious candidates. The impact of grant of anticipatory bail in cases of large magnitude affecting a very large number of people is also a parameter for consideration for grant of anticipatory bail. The action of petitions has led to admission of large number of candidates at the cost of more meritorious candidates in a professional course. The double bench of Chief justice Hemant Gupta and Vijay Kumar Shukla held that the court did not find that the petitions are entitled to concession of pre-arrest bail. Consequently, the present petitions for grant of anticipatory bail under section 438 of the code are hereby dismissed.